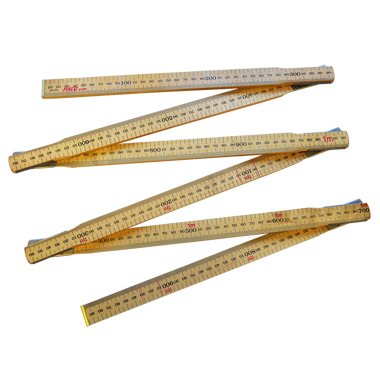 A professional six-fold wooden rule ideal for measuring in restricted areas or when working single handedly. The Surveyors Rod remains rigid when extended. Cold rolled steel strip hinges treated with hypoid oil for longer life.